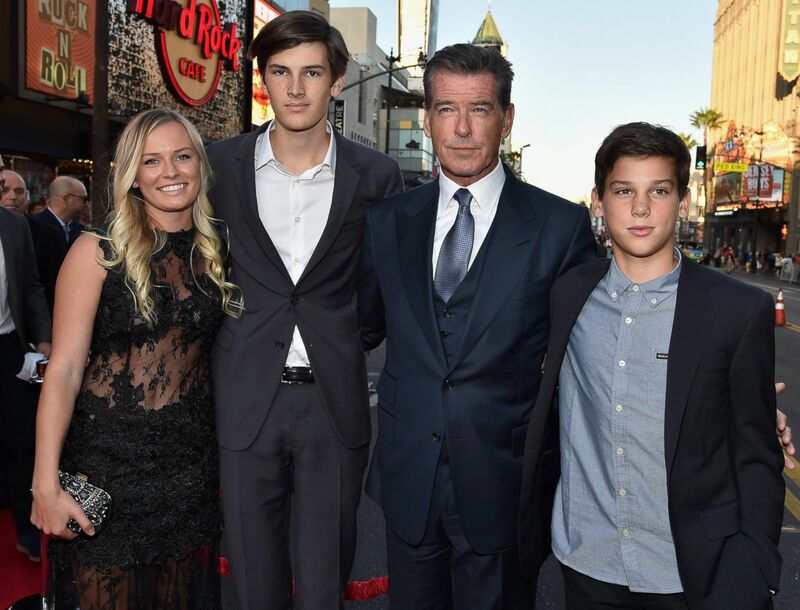 HomeTagsPosts tagged with "pierce brosnan"
She may be a world-famous superstar caught up in a lot of controversy, but it turns out Taylor isn't the only talented one in her family. 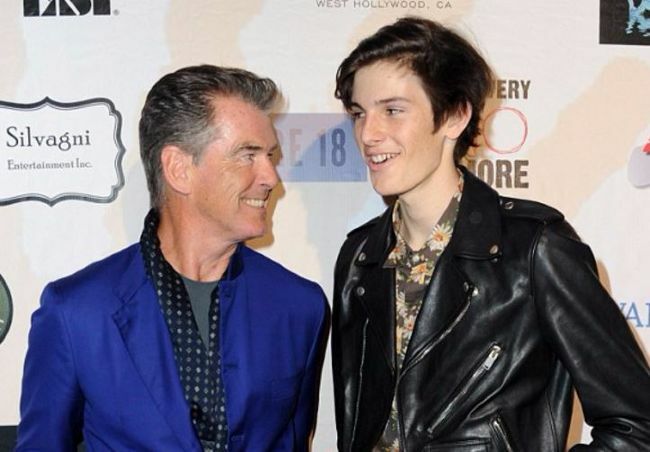 Taylor's younger brother, Austin, just made his acting debut alongside Pierce Brosnan for the upcoming movie I.T. 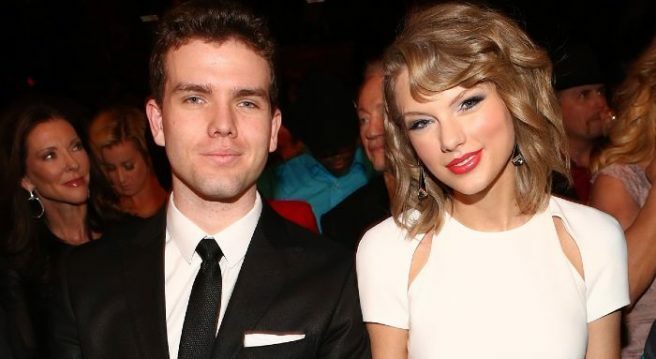 Last year, Taylor congratulated her brother on Instagram when he finished filming the movie. If he does become world famous, he's kinda already used to the lavish lifestyle as Tay likes to bring him along to red carpet events (when she doesn't have a date). 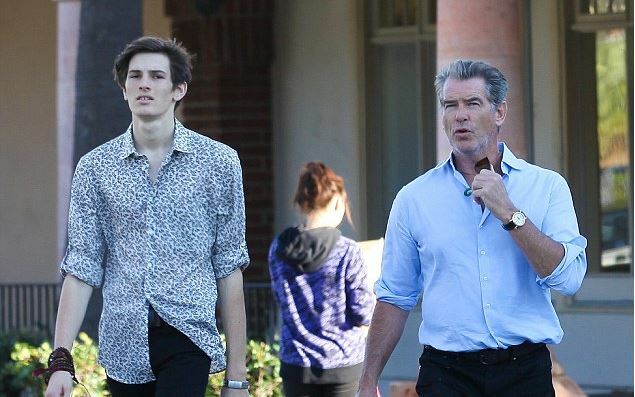 So it seems that Pierce Brosnan's son Dylan is not only genetically and vertically blessed, but also happens to be multi-talented. And of course, no one is prouder of his son and his many talents than his dad who regularly takes to social media to proclaim his children's many achievements. The Irish posted the news on Instagram last night about Dylan's musical ventures on Soundcloud under the name Raspbery Blonde. "The music of Dylan Brosnan," said the Drogheda native on his Instagram as he promoted his son's new material. The 19-year-old, who is Pierce's eldest son from his second marriage, has also been making waves in the fashion industry due to his good looks and tall stature. Dylan recently made a big break in his modelling career when he was featured in Burberry's SS campaign late last year. Donning a classic trench and little else, it's safe to say that the rising star certainly has a future in modelling if his music career doesn't take off. 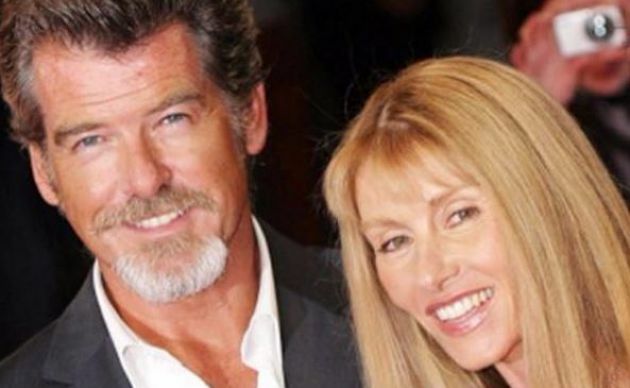 Pierce Brosnan this morning paid tribute to "a beautiful woman" after the tragic loss of his close friend Beau St Clair to ovarian cancer. Beau, who was Pierce's producing partner for over 20 years, passed away at her home in Malibu over the weekend. "Farewell my Darling Beau Marie… We made memories in the movies we made, and a deep friendship in the life we shared," the Irish actor wrote on Instagram today. In a further statement released through his publicist, he mourned the loss of his "dearest friend" who had "fought this insidious disease valiantly for ten long years." Variety reports that Pierce visited with Beau just a few hours before she passed away. Pierce and the 69-year-old California native founded their production company Irish DreamTime in 1996, and together worked on films such as Evelyn, The Nephew and a remake of The Thomas Crown Affair. Beau's death is no doubt made all the more difficult for Pierce by the fact that his daughter and first wife Cassandra both suffered from the same disease. Charlotte Brosnan died of ovarian cancer in 2013, 22 years after her mother's passing in 1991. "To watch someone you love have his or her life eaten away bit by bit by this insidious disease, that kind of sorrow becomes an indeliable part of your psyche," the actor revealed at a Stand Up For Cancer event last year. "I held the generous, strong, beautiful hand of my first wife Cassie as ovarian cancer took her life much too soon. "And just last year, I held the hand of my funny, wonderful daughter Charlotte before she too died from this wretched, inherited disease." 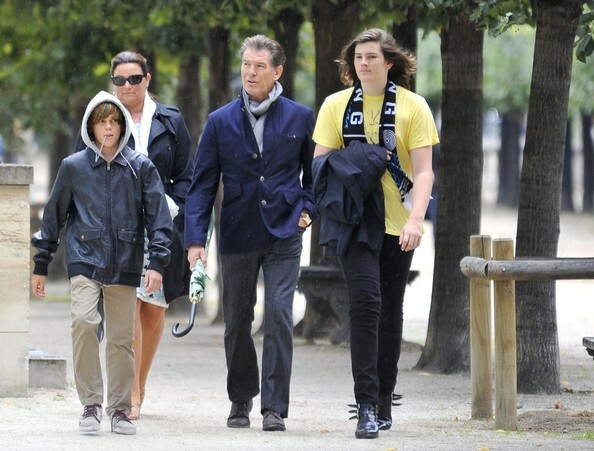 Perhaps we should not be surprised that Dylan Brosnan picked up his famous father's debonair good looks. Pierce Brosnan's handsome son is starting to make a name for himself as a model as he fronts the latest Burberry campaign for their SS 2016 collection. The ridiculously tall 18-year-old looks gorgeous in a trademark Burberry trench coat and well… very little else. The young model was shot by infamous fashion photographer Mario Testino and shows off his lovely Irish freckles in the shots. While this may be Dylan's first role as the face of a campaign, he has already been making waves in fashion circles as he appeared with it-girl Karlie Kloss in American Vogue and walked the run way for Saint Laurent at fashion week. The son of the former James Bond actor and wife Kelly Shaye Smith resides in Malibu, Los Angeles where he is kick-starting his fashion career. 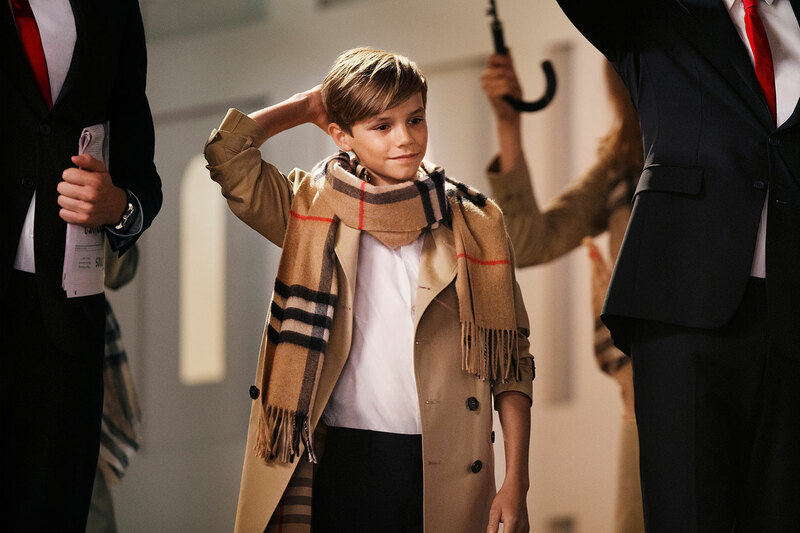 And it seems Burberry are big fans of snapping up the good-looking offspring of famous stars. The 13-year-old Romeo Beckham also made his modelling debut with the iconic fashion house and we think he also has a very promising career in looking good for a living. He could sell us on ANYTHING. It's a fact of life that people change when they age – some for the better, and some definitely for the worse. How can someone go from being so nerdy to being SO hot. 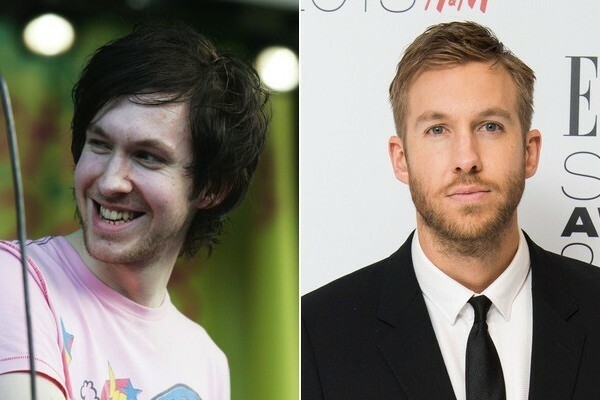 Taylor is one lucky lady. Eyebrows! 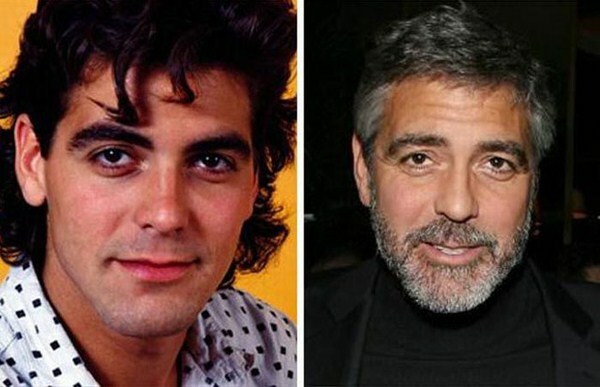 He was a bit of a geek back in the day but George has aged well. He even won sexiest man alive in 1997 AND 2006. That HAIR! She had some seriously fluffy gruaig in her teenage years but we think Nicole has aged beautifully. He actually used to be quite hot. What happened, Alec?? 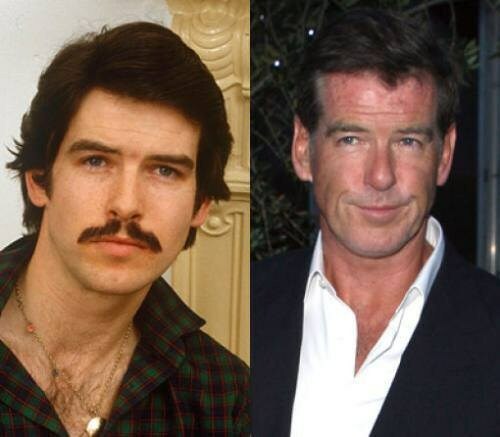 He sported a nasty 'tash in his younger days – but we'll let it go because the Navan-man is still our favourite James Bond. 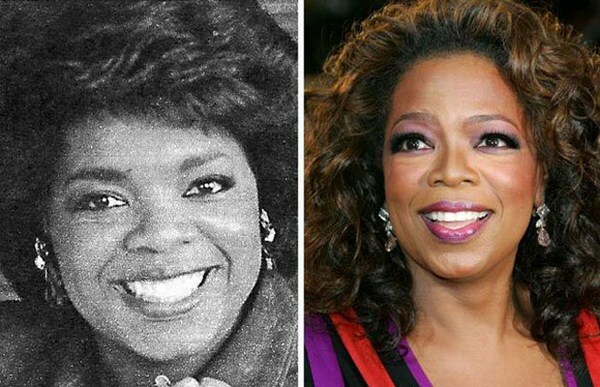 The weight-loss majorly changed Queen Oprah and we think she is definitely looking better these days. Miley has gone a bit cray-cray over the past few years trying to rub off the Hannah Montana image. She most certainly succeeded too! Woah. We didn't expect this one. 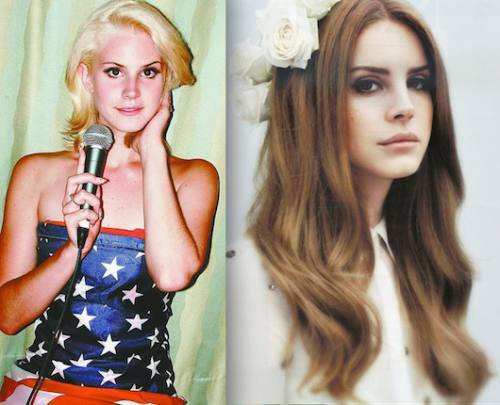 From bleach blonde hair to gorgeous red locks, Lana has definitely changed for the better. The rock 'n' roll wild child has dramatically changed over the years – going from black hair and questionable make up to a fab purple 'do and clothes to-die-for. 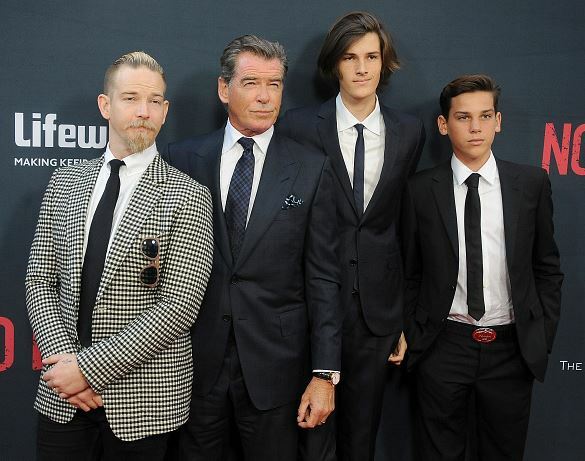 Earlier this month Irish actor Pierce Brosnan hit the headlines after he was stopped at a Vermont airport with his 14-year-old son for allegedly trying to bring a hunting knife on board a plane. Now though, he's setting the record straight and says the facts were sensationalised. The GoldenEye star was taken aside at Burlington International Airport when the blade showed up during a routine baggage scan. Eyewitnesses said Pierce seemed “furious” when questioned about the knife, which was supposedly five inches when folded but ten inches when extended. However, speaking to news show Extra this week, Pierce clarified that the knife was simply part of his painting kit, and it wasn't as big as the papers were reporting.
""' 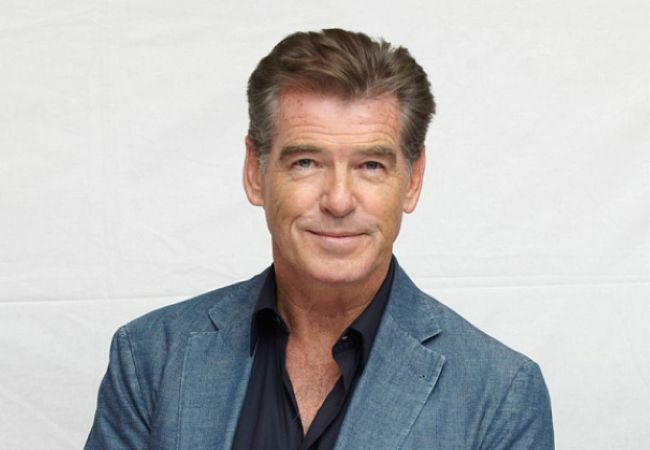 of a knife,” Pierce said at the premiere of his new film No Escape in Los Angeles on Monday. "I'm a painter. I'm an artist, so I had my pencils. The knife just went into the bag, you want to keep your pencils sharpened." Pierce was questioned twice by officials before finally being allowed to proceed through security and board his flight to Detroit. At the time of the incident, the actor was apparently overheard saying to his son "I can’t believe they’re doing this." Speaking on Monday night though, the Louth-born star didn't seem too fazed by the whole affair, laughing it off with reporters and posing with sons, Sean, 31, Dylan, 18, and Paris, 14. Pierce stars alongside Lake Bell and Owen Wilson in No Escape, the story of an American couple trying escape Asia in a time of political unrest. We’ve all been there at some point, the frustration mounting when you just can’t get your bag to close and you have to leave the house 30 minutes ago. It can be a bit stressful, and you feel like you cannot sacrifice even one item or else the whole thing is ruined. Well, it seems that celebrities can identify with our pain. 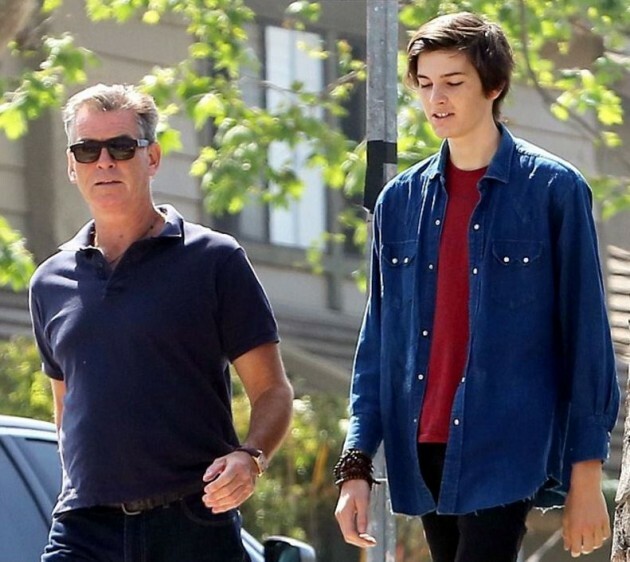 62-year old actor Pierce Brosnan was attempting to catch a flight from Vermont with his son Paris, 14, when they were stopped by airport security. The Daily Mail Online reports that Pierce was taken aside when a weapon showed up during a baggage scan. 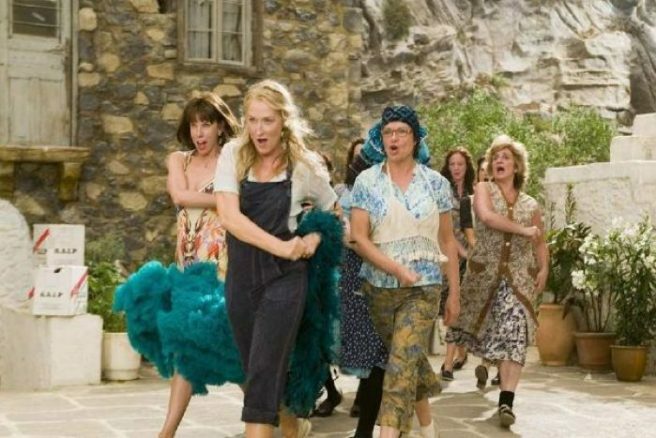 The Mamma Mia actor was reportedly carrying a large hunting knife when TSA officials stopped him from proceeding through security. An eyewitness has said that Pierce was “furious” when questioned about the knife. It was supposedly five inches when folded but when extended proved to be ten inches in length. It is thought he was travelling to Detroit and reports say he was spotted whispering to the officer before they confiscated the knife. It doesn’t seem like celebrity status was enough to get him out of a second screening with security officials. Following his second round of questions from TSA officials it seems Pierce was then allowed to continue to the gate with his son to board their flight. As of yet there has been no comment from Pierce’s camp regarding the airport incident. 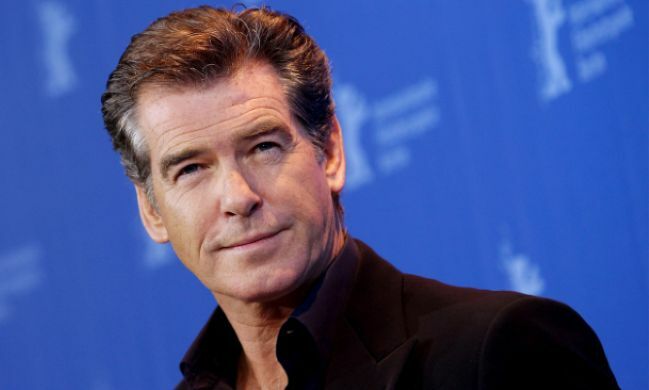 Some happy baby news this morning as James Bond star Pierce Brosnan revealed he had become a grandfather for the first time. 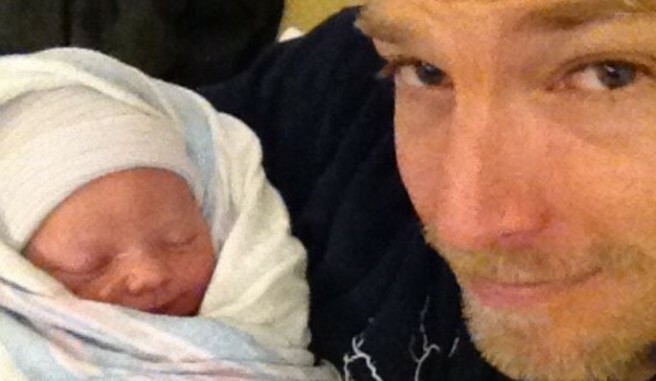 The Irish actor took to Instagram earlier this morning to share a beautiful picture of his son Sean holding his first child, a little girl named Marley. "My darling Sean With his baby girl Marley May Cassandra what utter joy to be her grandpa…beautiful life," wrote the smitten actor. Marley's middle name is no doubt a tribute to Sean's mum and Pierce's late wife Cassandra Harris, who died in 1991 of ovarian cancer. Pierce's adopted daughter Charlotte died of the same disease in 2013, just two weeks after her father walked her down the aisle as she married her boyfriend Alex Smith in a poignant ceremony. Little Marley's arrival comes 12 months after Sean's own wedding to film producer Sonja Banic in an intimate ceremony in New York last summer. 18-year-old Dylan is one of Pierce's two sons from his second marriage to American journalist Keely Shaye Smith. 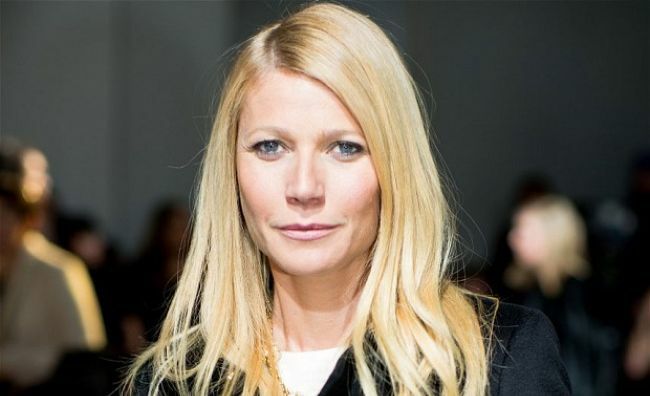 Gwyneth Paltrow spoke last night about the pain of dealing with her father’s death from oral cancer back in 2002. 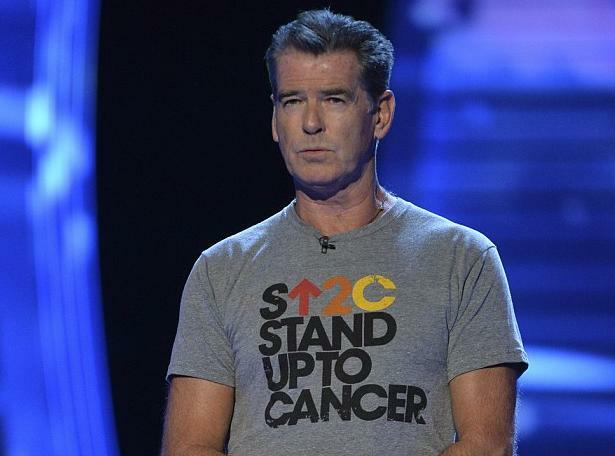 The actress appeared at a star-studded Stand Up To Cancer fundraiser in LA, at which many celebrities – including Pierce Brosnan, Halle Berry, Jennifer Aniston and Jessica Alba – spoke for the cause. 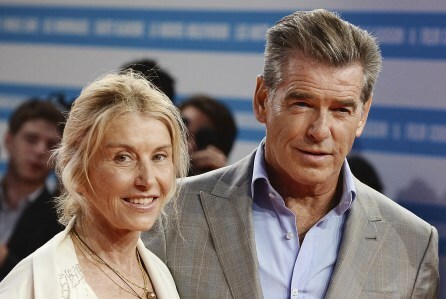 Pierce Brosnan also spoke touchingly about the deaths of his first wife Cassandra in 1991, and the passing of his daughter Charlotte last year. Want to rent this famous actor’s house? 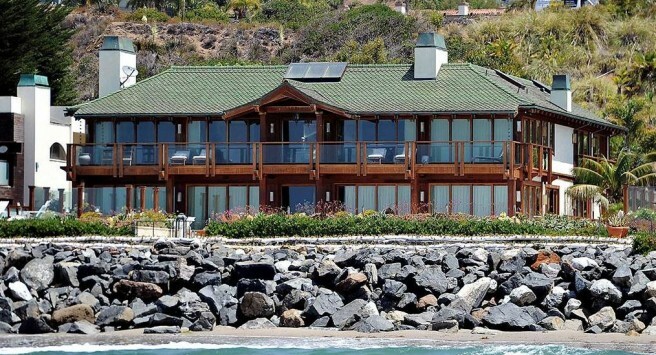 Pierce Brosnan is putting his Malibu beach house up for rent – at $250,000 a month. With four bedrooms, an exercise room, a spa, sauna, art studio, bar and swimming pool, it’s no wonder he’s looking for a quarter of a million for it! 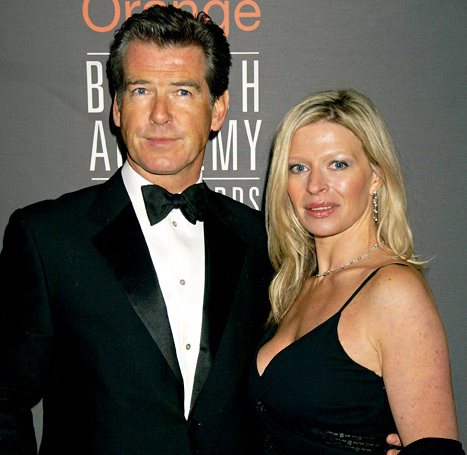 Brosnan bought the property back in 2000 on a strip of land called Billionaires Row, and knocked down the existing house to build his own lavish pad. 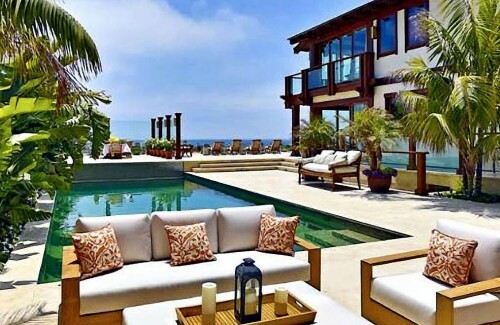 It has 120ft of beachfront “with sublime ocean and mountain views”. If you did manage to scrape the cash together, your neighbours would be Stephen Spielberg, Mel Gibson, Goldie Hawn, Sylvester Stallone and Robert Redford. The trailer for The Love Punch has been released and it looks like Pierce Brosnan and Emma Thompson have teamed up to make us all laugh out loud. 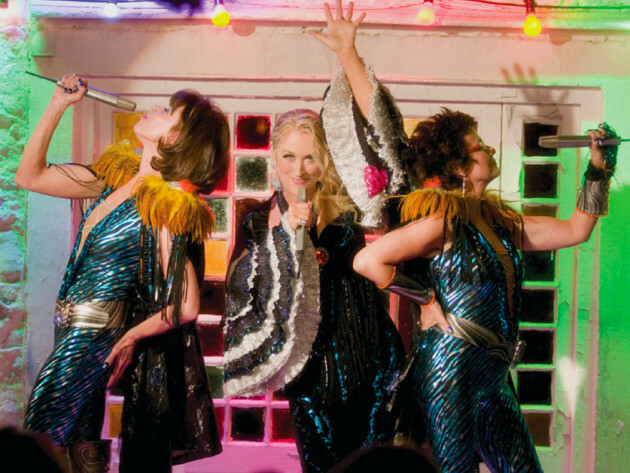 This is one to take your mum to, – she’ll love it and probably love Pierce too!